When you can combine good food with a positive environment, lives can be changed. 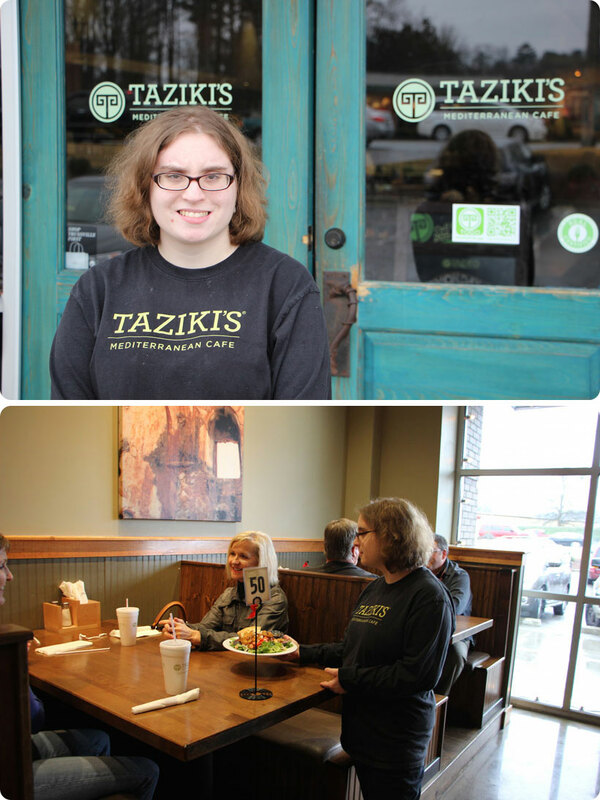 Taziki’s Mediterranean Café has created a culture of inclusivity by working with and hiring students and young adults with special needs. The Birmingham-based company is helping those that normally get overlooked across the country. Keith Richards (no, not that Keith Richards) began his culinary career at a K-Mart in Ensley, Alabama cooking chicken and serving sweet tea. It wasn’t long before that job blossomed into a career that eventually found him as the café manager at the award-winning Bottega Café in Birmingham. In 1997, Richards and his wife Amy took a trip to Greece and came home inspired by the cuisine and culture they encountered. The idea of creating a place to share their love of Mediterranean food with others took hold and couldn’t be undone. Guided by the memory of the food they encountered on their trip and some family recipes, Keith and Amy began developing what would become Taziki’s signature menu of freshly grilled meats, original sauces, and healthy side dishes. The first Taziki’s Mediterranean Café opened in 1998 on Highway 280 in Birmingham and welcomed 76 customers on its first day. Since that first location on Highway 280, Taziki’s has opened 60 restaurants in 15 states. Richards hopes to open an additional 8 restaurants by the end of 2016, with 10 more that are in the development stage. Most recently, Taziki’s has expanded south with restaurants opening in Daphne, AL, Panama City, FL and Tallahassee, FL. With more than 1,300 employees nationwide, the company made more than $63 million in total retail sales last year, and more and more stores continue to have record weeks. Along with their signature cuisine, every Taziki’s location offers take-out and catering for large or small events. The growth of Taziki’s has been staggering, thanks to a recent national trend in eating healthy. Hummus has particularly seen a resurgence across the country, and Taziki’s hummus sales have exploded in response. In 2009, Taziki’s sold 31,014 servings of hummus. Just five years later, that number jumped to 275,572 servings. Since its founding, Taziki’s has emerged as a leader in the restaurant community, not just in Alabama, but nationwide. The restaurant was named one of the nation’s top franchises by the Franchise Business Review in 2014 and 2015 and the 17 th fastest growing franchise in Restaurant Business magazine’s “The Future 50” in 2015. Taziki’s is also the first national franchise to achieve REAL (Responsible Epicurean and Agricultural Leadership) Certification, the United States Healthful Food Council’s emerging national standard for foodservice nutrition and sustainability, and as of last year, it is the largest chain restaurant to complete this certification process. Richards recognizes that with great success comes great responsibility, so giving back to the community has become a priority for Taziki’s. The company has taken a particular interest in working with students and young adults with disabilities. “God has blessed me. You’ve just got to give back. That’s the way you’ve got to work it,” Richards said. One of the signature programs of Taziki’s is HOPE – Herbs Offering Personal Enrichment. 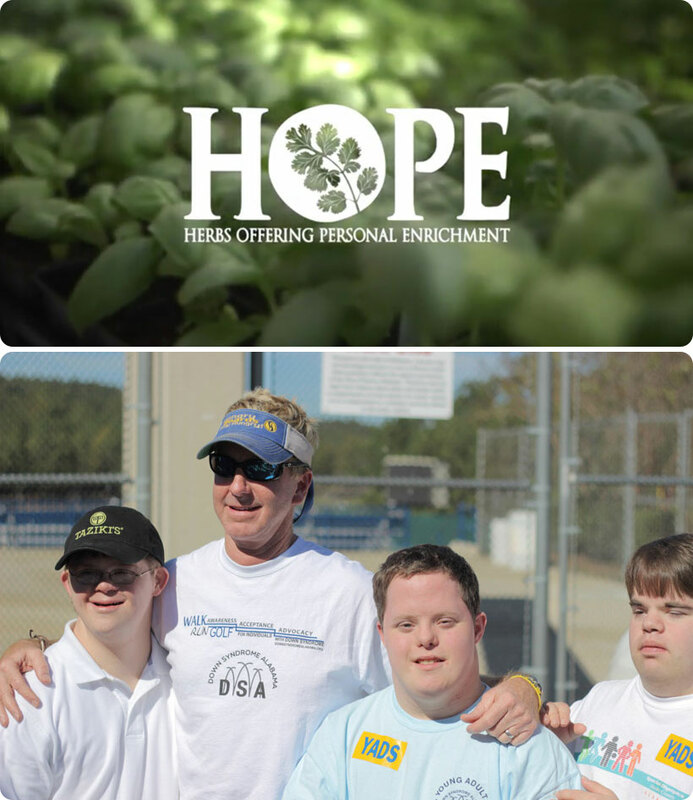 This program, founded by Richards in partnership with the Shelby County School system, empowers and inspires students with special needs to learn how to grow, harvest, and sell fresh herbs, and gives them experience in getting paid for their work. The herbs harvested by the program are used at many Taziki’s locations. HOPE may have started in Shelby County, but “HOPE gardens” are quickly growing across the U.S. The program recently expanded to Nashville, Tennessee and partnered with Fairview High School’s special education program and agriculture teacher. The initiative is also expanding to Arkansas this year. 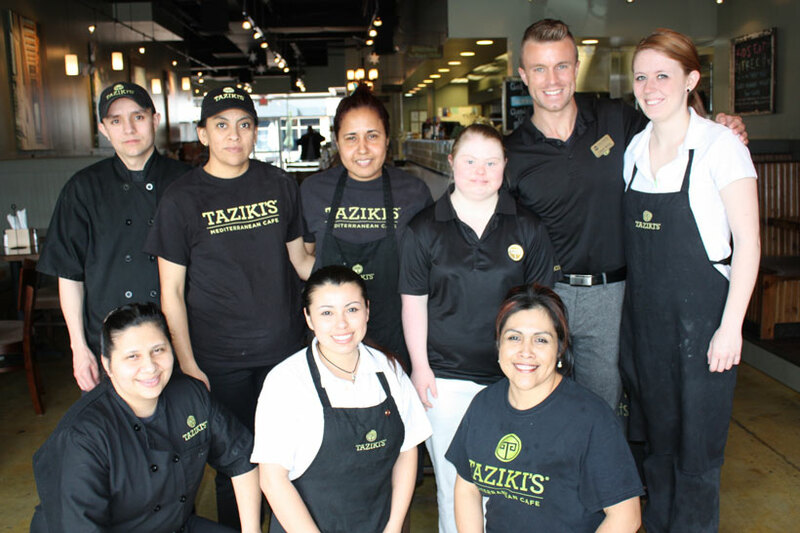 Taziki’s also hires students and young adults with special needs to work in their restaurants. Many of these employees complete their work long before customers arrive. Their daily duties often include cleaning the restaurant, loading ice machines, rolling silverware in napkins, and setting up the restaurant for the day’s business. Richards says these employees are just as good as any other employee, if not better. “What’s remarkable about the students and young adults we have working for us is – they’re consistently doing the same thing and it’s perfect the same way,” he said. But even more importantly, the students and adults working for Richards gain self-worth and professional value. The HOPE students running the herb gardens learn skills they can use in real jobs after they graduate, from nurturing plants to organization, and even how to earn a paycheck. And the Taziki’s employees learn responsibility, how to work with others, and that their work has value. Keith Richards has made Taziki’s stand out from the ever-growing crowd of restaurants across the nation. The secret to Taziki’s success is more than just good food (although that certainly doesn’t hurt) – it’s about making every customer and employee feel valued, respected, and making them feel like family.